He may sing “Blue Suede Shoes” in the national tour of Million Dollar Quartet, but how many pairs is he able to pack while on the road? James Barry, who stars in the show as rocker Carl Perkins, makes his way around the country with the Quartet cast, with his wife and young son in tow. The actor filled out Broadway.com’s questionnaire about how he masters life on the road with his family and travels like a rock star. Your toddler's toys and books are more important than the fourth sweater, third pair of boots or second jacket you were thinking about bringing. That being said, you can never have too many pairs of underwear and socks on the road, especially if you exercise. My wife and I alternate taking one-hour exercise sessions each day. This provides us with an hour of alone time (crucial for parents of toddlers) and provides us each with an hour of undivided time with our son while the other is exercising (crucial for parents of toddlers). It's free, it makes us feel good and keeps us sane. Thank you, hotel fitness rooms! Breweries! My wife and I are huge craft beer enthusiasts and traveling across the country provides us the unique opportunity to taste regional brews that don't distribute to New York. By the looks of our tour schedule, we are in for some serious treats. I set up a pack 'n' play for the kid and put out his toys and books. I also put my guitar in the corner, my leather jacket hangs in the closet and a couple of locally brewed IPAs in the fridge. Bam, it feels like home to us. We love the road! 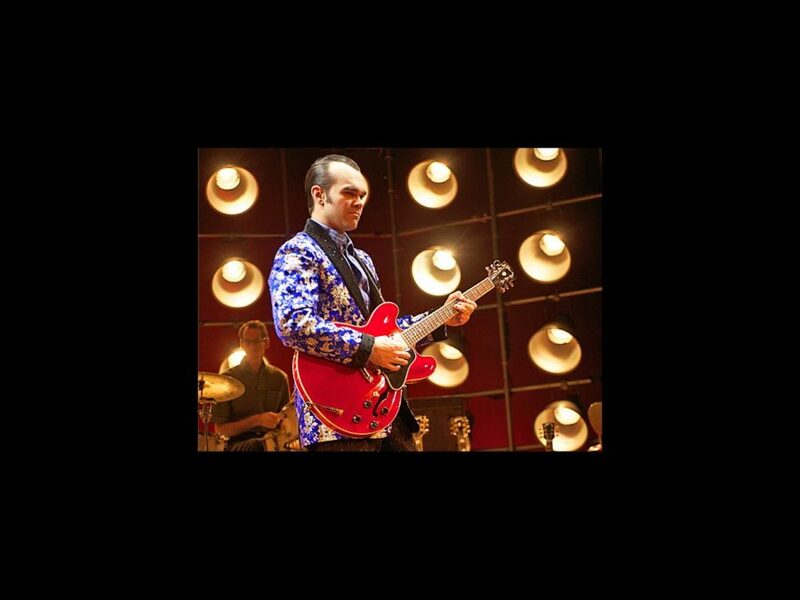 See Barry and the rest of the quartet when Million Dollar Quartet arrives at Citi Emerson Colonial Theatre from October 8 through October 20.